Twice a year, the markets team at PPS (Steve Davies, Kelly Verel, and David O’Neil) conducts the “How to Create a Successful Markets” training from our office in New York. This two-day program consists of a series of lectures and activities where participants learn the essentials of creating a thriving and economically sustainable public market that can maximize community benefits and attract a broad diversity of clientele and visitors. While covering current market trends and topics such as market planning, community engagement, operations and management, the course also maintains a strong placemaking component, offering a variety of tools for turning markets into better community places. With no shortage of amazing markets to visit, and it seems that new markets are popping up all of the time - from night markets in Queens, to Greenmarkets, to regional flea markets. Participants of the PPS Markets Training Program frequently report that one of their favorite components of these sessions is the full-day bus tour in which we visit various public markets throughout Manhattan and Brooklyn. The tour presents a diverse range of market spaces, locations, vendors, and management styles. On our Spring training tour, we visited markets that serve multiple communities - some that are smaller in scale focusing primarily on regional fresh food for locals, while others are more upscale center-city markets, focused on providing a range of prepared food services and goods for a larger, more transient customer base. NYC has long been a laboratory for market managers, and during some of our stops, we spoke with managers who offered insight into the specific successes and obstacles they have encountered while running their markets. Once consisting of a series of buildings along Essex Street, the Essex Street Market now operates only in the central building; the north and south buildings sit vacant, and plans are in place to relocate and expand the market to a new mixed-use development on the southern side of Delancey Street. In the last decade the market has greatly expanded its product mix and vendors to include traditional fresh food vendors that cater to the neighborhood’s Asian and Latin American residents, as well as prepared food and specialty food vendors who have received attention from the City’s food professionals, restaurants, and media. 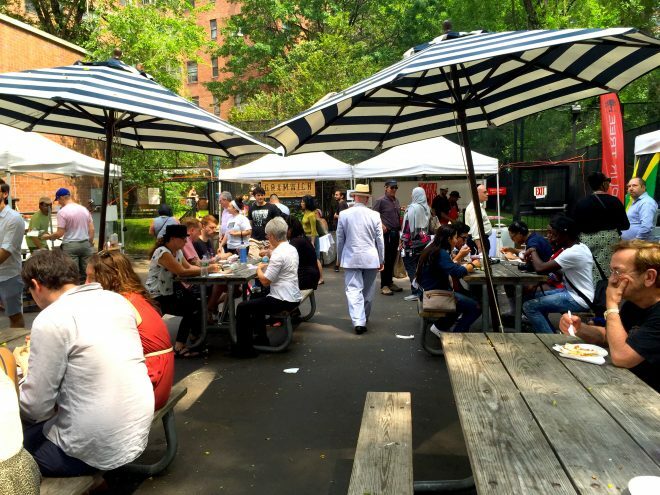 As part of the GrowNYC network of farmers markets, the Fort Greene Greenmarket borders a thirty-acre park in the heart of a multi-cultural and artsy Brooklyn neighborhood that houses students, urban professionals, and multi-generation families. For more than ten years, the market has served local residents and it has become a popular gathering space for neighbors to shop, socialize, and enjoy performances from local bands, artists, and storytellers. Founded in April 2008, the Brooklyn Flea has been hailed by the New York Times as "One of the great urban experiences in New York.” Held every Saturday from April-November and hosting over 150 vendors of vintage furniture, clothing and antiques as well new designs by local jewelry and textiles artisans, the Fort Greene outpost of the Brooklyn Flea takes place in a 40,000 square foot parking lot at Bishop Loughlin Memorial High School in the heart of Brooklyn’s Fort Greene neighborhood. On Sundays, the Flea travels to another Brooklyn location, as 80+ vendors display their unique vintage and handmade wares under the Manhattan Bridge Archway in DUMBO. 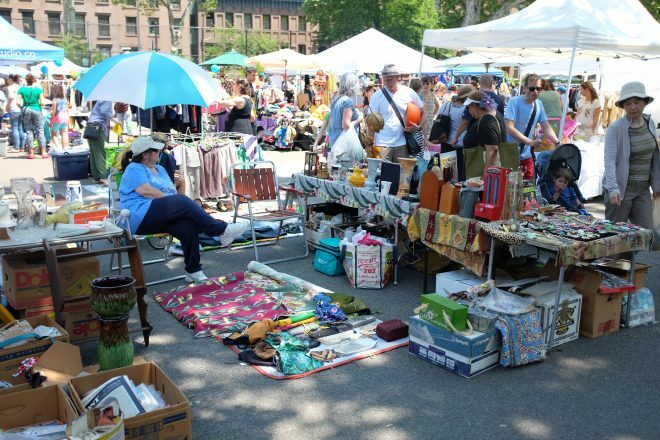 With seven locations throughout the borough (including the ever-popular Smorgasburg locations in Williamsburg and Prospect Park), the Brooklyn Flea has become one of New York City's largest and most popular markets. In 2015, building off of the success of their “pop-up” markets throughout the city, local market champions Urbanspace opened their first indoor, year-round market space for New York food vendors. A foodie's paradise, located just north of Grand Central Terminal, Urbanspace Vanderbilt features over 20 permanent stalls serving a wide array of prepared and gourmet foods from well-known local restaurants and vendors--such as lobster rolls from Red Hook Lobster Pound, ramen from Ippudo, and doughnuts from Dough. 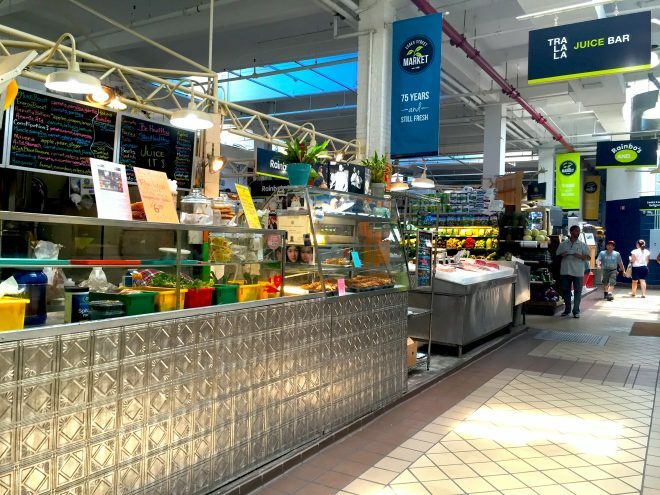 With most everything under $20, this urban food hall has become a popular lunch spot, as well as a pleasant stopover for commuters on their way home. 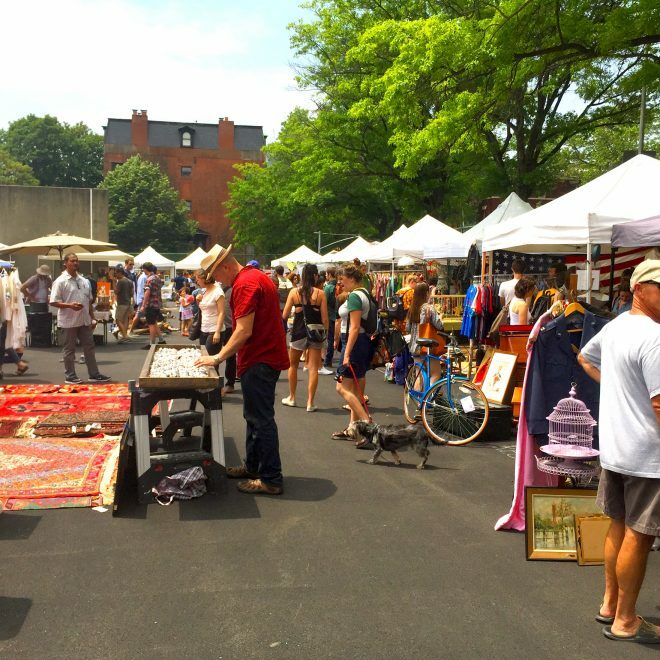 Now in its seventh season, the Hester Street Fair opened in 2010, and it is located on the site of what was once one of New York’s largest and oldest pushcart markets. Visiting this market, which runs from April to October, is a great way to soak in the scene and culture of New York’s historical Lower East Side neighborhood. 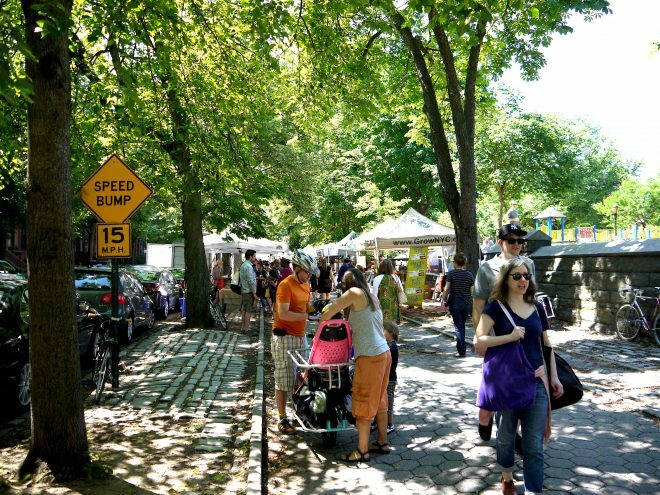 With over 60 curated vendors, the Hester Street Fair features locally produced or sourced art, jewelry, crafts, antiques and prepared food, all gathered in an intimate, park-like setting. Part food court, part shopping mall, part art space, New York's Chelsea Market is a vast complex of wholesale merchants that also sell to retail customers. 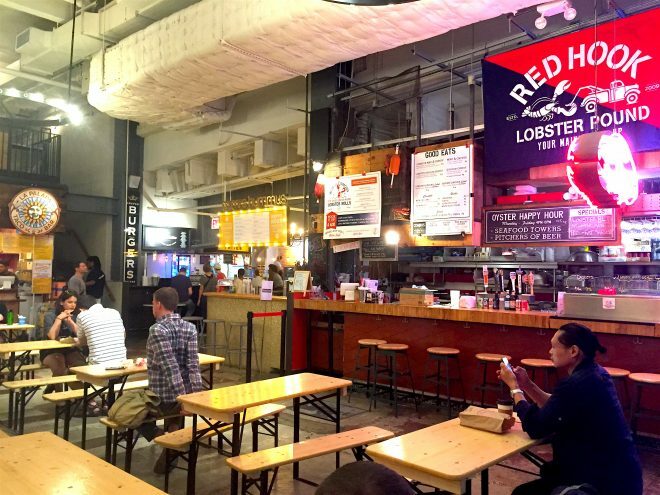 Located in the former National Biscuit Company’s (NABISCO) Oreo cookie factory in the Manhattan neighborhood known as the Meat Packing District, the market spans an entire city block. 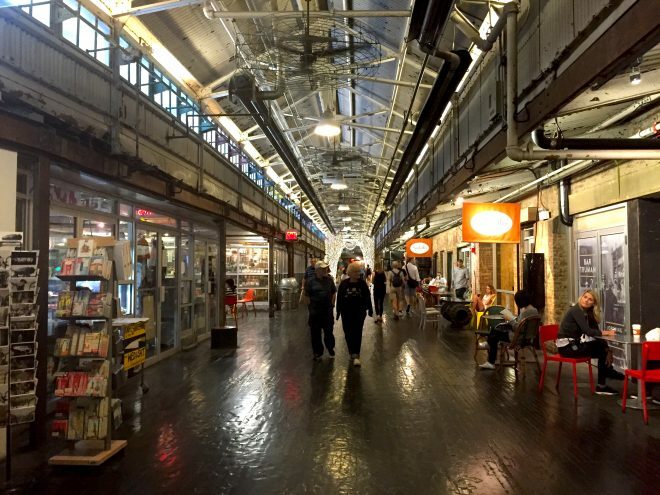 Attracting 6 million annual visitors from around the world, since opening in 1996, Chelsea Market has become one of NYC's "most trafficked and written-about destinations of any kind." If you would like to learn more about how to successfully manage a market in your community, as well as visit some of these exemplary markets in person, make sure to register for our next Markets Training. The next training will be in the Fall, taking place on: October 14-15th, 2016. Registration is now open!